Apr 8 In conversation with Madison Bowden-Parry, Behavioural Ecologist. I’ve known Madison since our years in college back in 2012 when we had Graphic classes together. I got to know her and remember how enthused she was about marine life and animal behaviour even back then. As we went our separate ways from college I kept up to date through social media with what she was up to, projects she'd been a part of and charities she worked along side, with the occasional epic shot from a dive she’d been on. Almost 5 years after college I reached out to her to see if she would be interested in talking to me about the work she is currently doing and how she does her bit day to day through small lifestyle changes. She invited me to her home in Swansea and we caught up over coffee. Madison is a behavioural ecologist, which involves studying the evolutionary basis for animal behaviour in response to ecological pressures. Since a young age Madison has been interested in the motivations for animal behaviour, but has a particular interest in cooperative behaviours. 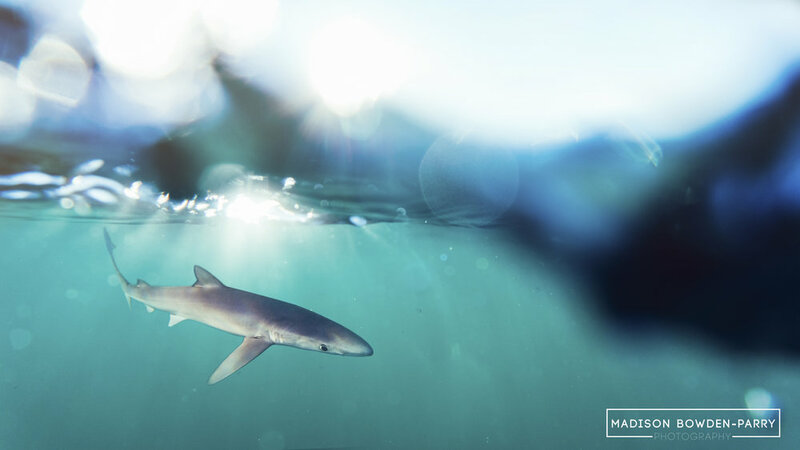 Initially, she was a photographer with a passion for shooting marine animals and their behaviour, from there she followed a route of marine photography. Her recent season in 2018 was in Australia, helping collect data for a study with the Dolphin Alliance Project, investigating the development of juvenile Bottlenose dolphin alliances. Now, her current work investigates food sharing behaviour in Asian small-clawed otters, yes, very different animals, but she tells me they are both great! Coming from Swansea, Madison tells me how she’s always loved the sea and how fortunate she is to live by the ocean in such a beautiful location. In 2014, she trained to become a marine mammal medic with BDMLR and helped out on a few rescues and re floats in Cornwall and back home in Swansea. Since around that time in 2014, Madison learnt to scuba dive in Swansea Bay and Chepstow quarry. Since then, she has been all over the world with diving. Knowing about Madison’s love for nature and the environment we spoke about the impacts pollution is having on areas she studies and works in and changes she has implemented to her day to day life to do her bit. Sometimes, it feels like we just need to step back a bit and tune into reality for a moment, to realise what’s going on around us. It’s so easy to become encapsulated in our own little bubbles and focus on things that are really not that important in the real world, social media platforms are so good at doing this. Social media can be a positive, but it’s such a negative too. We have access to so much and can learn from social media, there are so many conservationists and ocean advocates who are doing amazing work and inspiring people to think and act more sustainably, which is really key for targeting the mass. That is becoming more and more apparent, which is awesome, and it’s also spurring Madison on to do so much more. There comes a point where people stop responding to negative feedback regarding everything that isn’t being done in the world right now, social media can be really bad for this. We are constantly being told that we aren’t enough, we aren’t being “good” with our choices. In general, people need a bit more praise to spur them on, to be encouraged and proud of their changes, not condemned because of their actions, people just switch off to that. It was a pleasure speaking with Madison about her work and environmental views. If you would like to stay updated with her work head over to her website and for a more in depth view of her work we’ve got a video interview over on our video page!